The 2019-20 ocean contract negotiations have officially begun for cargo moving from Asia to the United States. Based on the initial proposals from the ocean carriers, it is clear they are trying to capitalize on last year’s space crisis. Carriers stated earlier this year that shippers should expect to pay higher rates in the 2019-20 ocean contracts. Further, they stated that anything short of the required increases would result in removing capacity from the trade. The trade publications have been quiet on the amount of increase being sought by the carriers as a collective group. The few articles that addressed the issue have carriers seeking rates increases between 10% – 20%. Some shippers have decided to eliminate incumbent carriers hoping that new carriers will mitigate or eliminate the proposed increases. Conversely, some carriers are walking away from longtime customers unless profitable rate levels can be achieved. Carrier consolidation has created a landscape that is very beneficial for the carriers. Carriers have shown resolve to keep rates as high as possible. Blank sailings are becoming commonplace in the Asia to US market. The threat of removing capacity should not be taken lightly by the shippers. Prior to last year, it was easy for shippers to write off such carrier rhetoric as a means for them to increase rates. Negotiations will conclude over the next four weeks. How these four weeks unfold will determine whether shippers can expect a repeat of 2018 or smoother sailing during 2019. 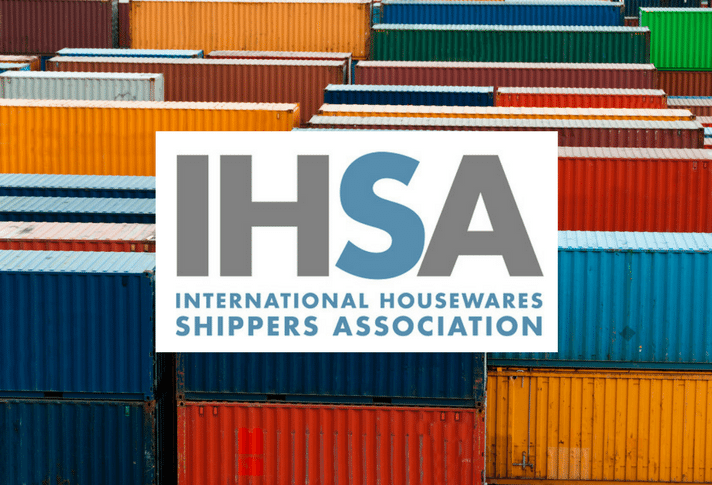 The International Housewares Shippers Association (IHSA) is a not-for-profit association formed to benefit companies belonging to the International Housewares Association (IHA). Through the combined leverage of members, IHSA negotiates freight contracts and partners with other logistics providers to lower supply chain costs. IHSA’s main function is to negotiate the lowest possible transportation rates and provide the highest quality service for all participating members. Additionally, IHSA members receive valuable market intelligence and advice through regular newsletters and briefings. IHA member companies looking to reduce their ocean freight costs or have questions about an ocean freight issue are encouraged to contact IHSA to learn about the program. Contact IHSA at +1-513-489-4743 and learn more on our website.